Altering the internal layout of your home can be one of the best ways to transform its usability and appeal without spending a fortune. 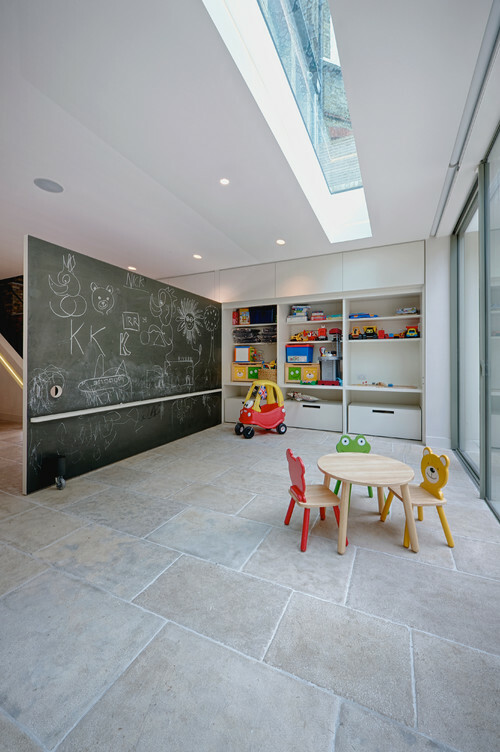 So before embarking on building an extension, consider whether or not your household’s needs could be met by knocking through interior walls instead. It’s potentially a great way to create a feeling of light and space that can dramatically improve the layout and functionality of your home for minimal expense. In part one of this series, I covered the practical considerations of knocking through, from structural beams to Building Regulations. In part two, I get onto the fun stuff: how do you want your new space to look once denuded of its wall? In which rooms does it work best? There are no hard and fast rules as to which rooms are better knocked into one. The decision should be based on which aspects of your home are not working for you, and the way you wish to live in the space. This is sometimes obvious from the moment you move in, but as our lives evolve, how we live in our homes alters, too. At one moment, you may be desperate for more space; at others, you may find you’re not using some of your rooms. 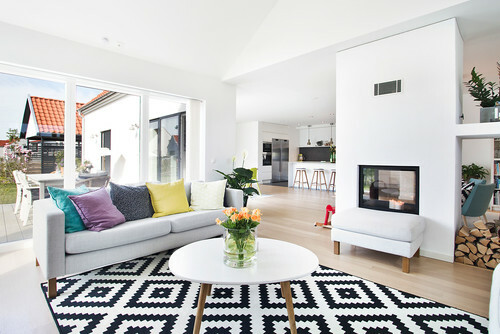 Adapting your home to reflect your lifestyle means you’re getting the best value from your home and, as architects love to quote, “Form follows function” – so this is the best place to start. 1. What do I/don’t I like about the existing rooms? Are they too small? Too large? Too dark? In the wrong place? Cold and unwelcoming? 2. What sort of room do I feel I’m missing? A family space? A dining area in the kitchen? A combined bathroom/bedroom? A spacious living room? 3. What sort of rooms do I like? Bright, open spaces? Cosy? Full of possessions? Minimal? These are important questions you need to consider. 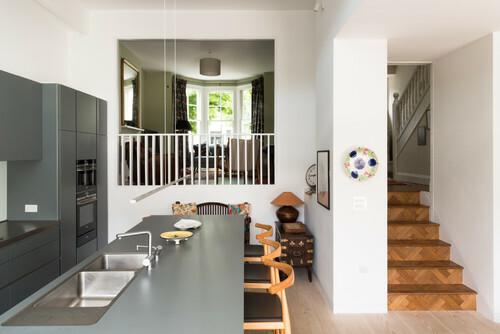 Don’t be talked into a large, open-plan kitchen-diner just because it’s fashionable, or because your neighbours tell you it’s the best thing they ever did, when what you’re more drawn to are smaller, more intimate rooms. Your home should be a true reflection of you and your family’s needs. Won’t I just lose a lot of wall space? 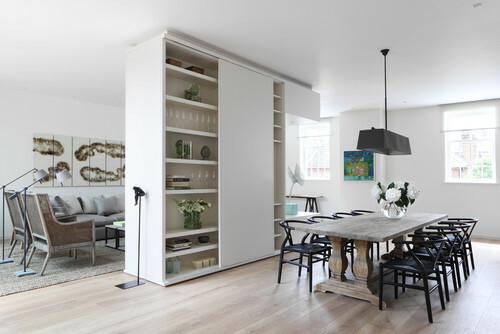 One of the main reasons to involve an architect or designer in your project is to help you define your criteria and come up with imaginative ways of providing the ideal balance between the aspects you’ll lose, such as storage space, and those you’ll gain, such as a bright, flexible living area. They’ll have ideas to combat your concerns, such as how to include cupboards or open shelves into the new layout. In this example, the problem of losing storage but also having an open layout was solved by creating a partition to provide some zoning and shelving. What if I don’t want it to be just one space? When you take down the wall between two rooms, you don’t have to remove all of it. 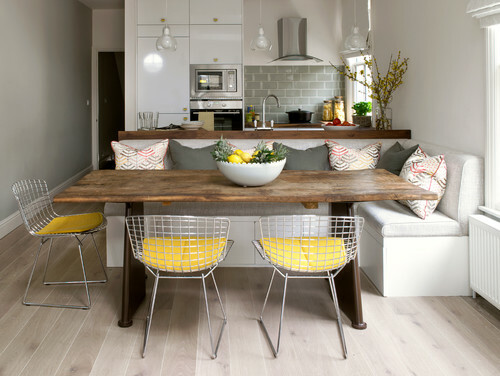 Often, the most successful open-plan spaces still have defined areas within them. Constructing partial walls is the ideal way to maintain a sense of flow and interaction while creating ‘zones’. Stud walls are a simple way to build such divides, as they’re a timber batten frame covered in plasterboard and finished with plaster, and can be as high or wide as you wish. A two-sided fireplace, as seen here, is another idea. How many degrees of separation are there? Often, one of the most dramatic effects of taking down a wall is the change in the level of natural daylight. Many homes have an darker inner room, traditionally used as the dining room, which has in more recent times become underused. If going totally open-plan isn’t for you, then the effect of openness can still be achieved by installing a glazed screen and doors. Here, the minimal metal frame enables the maximum amount of light to flow between the rooms while maintaining an acceptable degree of separation. What if I don’t want to see my doors when they’re open? If you want to hide your doors away when you open up between your rooms, a popular trend is for ‘pocket doors’. These slide away discreetly into a counter frame within a stud wall, only to be seen when you want to alter the dynamic, function or intimacy of the room by closing them. They are top-hung, which means the floor is left free from obstruction, so there’s no perceivable change in the flooring, allowing the rooms to flow freely into one another. The key to the smooth operation of a pocket door is in the preparation and planning, especially if you’re installing it in an existing home, as you’ll need to think about what services and pipes might already be inside the wall cavity. It may be that there are easier ways of achieving this if it’s a more flexible space you’re after. How can I make the spaces more flexible? An often-cited reason to open up between two rooms is to provide a more flexible space that can be used in various configurations for different functions. Depending on the level of flexibility and interplay you want between the spaces, there are various ways this can be achieved. The simplest is to include a sliding door or movable partition. The most dramatic and versatile solution is to have a sliding wall. In this scenario, you’re able to dictate very easily the level of openness you want between your rooms, and it can also create a very striking or unusual architectural feature. What if my house is on different levels? If the front of you house is on a different level to the back, you can still open up between two rooms and benefit from the boosted light and social interaction that open living spaces provide. That said, it may throw up more restrictions than opening up a floor that’s on one level. 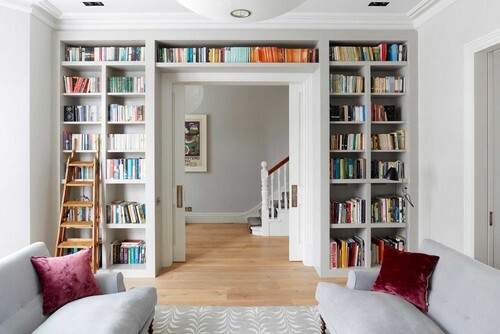 If you have only a small change in height – of about 500-600mm – then two to three full-width steps can be used to counter the differential and still give you two wonderfully connected spaces. Be careful here, though, as a change in level of more than 600mm will require you to have a handrail, and fewer than two steps can be considered a trip hazard. If the change in level is greater than that, the spaces can still be connected, but a guarding with a minimum height of 900mm will be required. Can I still make the spaces feel different? Don’t assume that when you open up two areas of your home, they have to become one. It’s often more interesting to give each ‘zone’ its own personality, depending on your own tastes and the function of the space. If it’s a cosy, relaxing room where you’ll generally spend time in the evenings, then you might want to go for heavier upholstery and furnishings and darker wall colours. 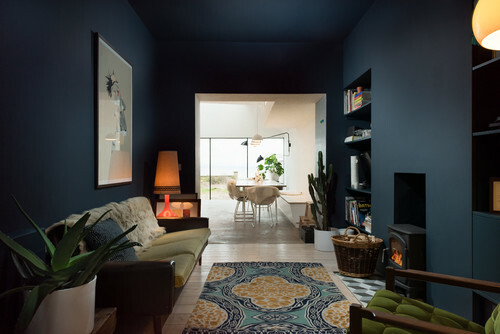 Alternatively, if it’s a breakfast/family room, then you might find that simpler, more practical furniture and brighter wall colours provide a suitable atmosphere. From a practical point of view, if you open up two areas of your home, it can be hard to keep smells and noise at bay, especially if one of the rooms is the kitchen. However, this shouldn’t be a reason for not doing it – there are solutions! Cooking smells can be dealt with by ensuring good extraction. Also, try to locate your cooker and hob at the point farthest away from the adjoining space – and ideally near a window. From a sound-proofing point of view, soft furnishings, such as heavy curtains and upholstery, are the key absorbers, so include a thick rug and cushions in your decorating budget. And if you want further reduction still, you can even get sound-absorbing paint. The other main hiccup many people find is that, when they take down a wall, the floors on either side are not the same height. Depending on how extreme the change is, this can usually be overcome by some floor-levelling work. Also, since in most situations new flooring will be laid anyway, the change in level can often be lost across the floor span quite easily.